Not many kids can say they’ve left their family and friends for an entire year to go visit a country they had never been to before. 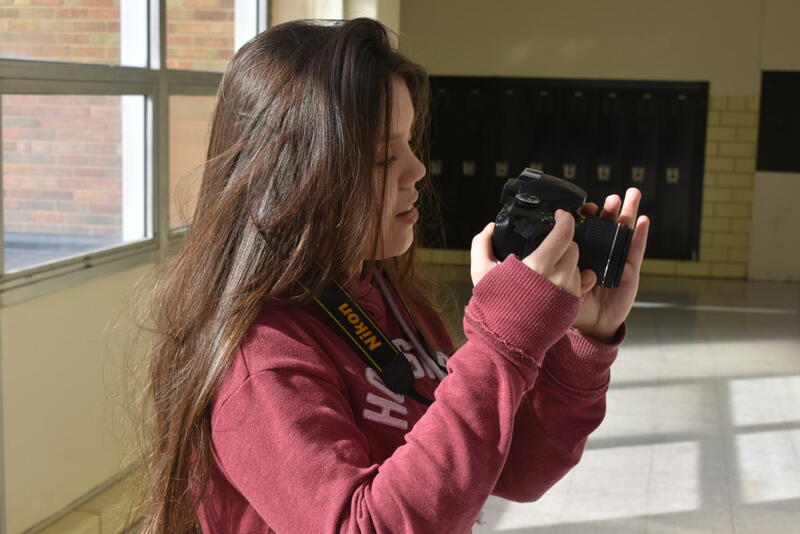 However, Izabella De Paula Braga, sophomore, came here in August with the AFS Intercultural Program, which gives young people the opportunity to live in a different country for an entire year, and stay with a host family. Braga lives in Goias, Brazil, but is currently staying here in University City with a host family. She attends the high school alongside her host brother and host sister. “I always wanted to learn about the culture here, like the traditions and everything,” Braga said. Braga was selected out of many other students in her town to receive a scholarship with the AFS program, allowing her to come to America and stay for one year. “They were doing this scholarship for the students, so they needed to see your grades and see how much English you knew,” Braga said. One of the biggest changes between Brazil and the United States were the schools, Braga explained. Here in U. City, Braga lives with the Holahan family, and has two host siblings at the high school, one of whom is Nicole Holahan, junior. Braga and Holahan have lived together for almost six months now, and have slowly developed a sister-like bond. Holahan has two brothers, but does not have a sister. Living with Braga makes her feel like she has a sister now. “I’ve never had a sister before, so it’s been nice to have her here,” Holahan said. One of Braga’s closest friends, Rebecca Rico, junior, also says she has formed a strong bond with her. “It’s like having a little sister sometimes,” Rico said. Rico and Braga met at the beginning of the school year, and quickly began friends. From there, Braga and Rico’s relationship continued to grow. They both played on the tennis team together in the fall, and became even closer. Braga has gotten used to her new life here. When it comes time to return home to Brazil, Braga said she will not be happy. Even though Braga misses the people she left behind in Brazil, she admits that she likes her current life here in U. City.